Anne and I had a blast playing with connection with our horses over Christmas. We strengthened our bond by sitting in a chair without treats 30 feet from the horses’ haynets. The horses would join us in moments, asking for scratches and giving us kisses. We invited the horses to play with us at liberty on the ground in the arena and Kami, Tessa and Taxi left off grazing during their turnouts on the pasture to beg Anne to play with them. The joy they exuded as they played together was fantastic. Kami ran at liberty with us as we took a trail ride and led us to a rose bush to snack on rose hips. I took off halter and reins and rode Tori at Givan Ranch with just a neck string, with both of us relishing our freedom and mutual trust. 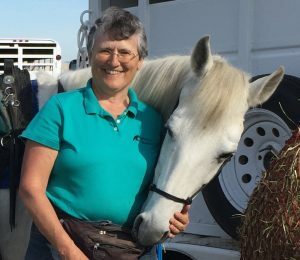 I love the connection we have built with our horses and how they choose to be with us, choose to follow our feel and play with us. I hope you enjoy it as much as I do. Music by Mary Ann Kennedy is used with permission of the artist.